A rare Vedjorn bear shifter, Eric Mikkelson lives on his own terms. So allying with wolf shifters, even gorgeous Julia Jacobs, bristles his loner instincts. But Eric must protect his infant son from the dangerous shifter cult stalking him. However, keeping JJ at arm's length proves nearly impossible. She gets under Eric's skin, exposing them to new risks as their staggering attraction defies Pack laws, and JJ's own dark secrets fester between them. I've been a fan of Karen Whiddon for so long that every time I read her books it feels like I'm coming home. 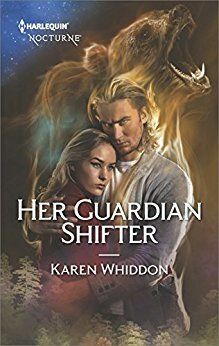 I was thrilled when I got to read a copy of Her Guardian Shifter - Whiddon wins with her shifter romance. The crazy from page one to the last keeps you going even when both you and JJ are thinking Oh, hell no. Between the relationship drama, the community drama and the personal drama there's some serious issues for both JJ and Eric to work through. The worst of it is that there's a child involved. I'm impressed that despite being a parent Eric manages to juggle all his issues, his wants and the crap that comes with his package once he and JJ begin their involvement. 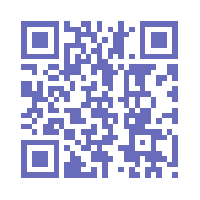 Turn off your marathon of Housewives whoever and read Her Guardian Shifter. Drama is afoot in this book. 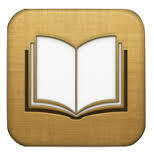 Krissys Bookshelf Reviews received a digital copy in exchange for an honest review from Netgalley. All thoughts, comments and ratings are my own.